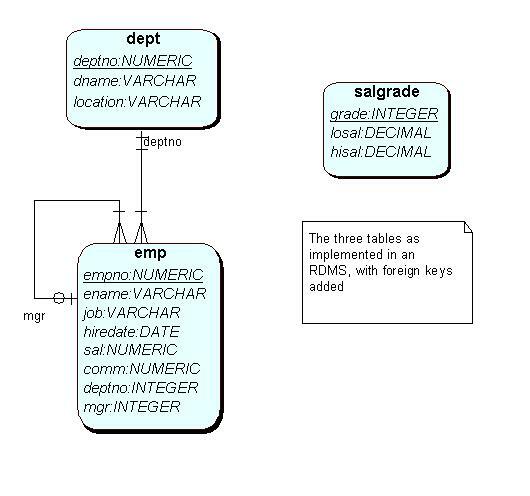 The employee - department -salgrade database is a classic teaching example, originating in early Oracle training where it was known as the Scott/Tiger example, after the username and password of the creator. It is used here as the basis of an introductory tutorial. If you would like to create your own version of the database, you can use these SQL statements to create the tables and load the data. 6. Demo: To view the definition of a table.